Dhoni led India to World T20 glory in the very first edition of the tournament in September 2007 in South Africa. That was his first tournament as captain of the national side and boy, what a start it was to his captaincy career! He has been the toast of the nation ever since, and has followed that with a World Cup 2011 win in the Indian subcontinent. 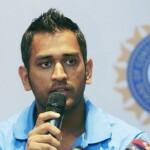 Can it be second time lucky for MSD? Despite all his achievements, Dhoni has not inspired India to do well in T20 internationals and in the 2009 and 2010 World T20s, India were unceremoniously knocked in the Super Elghts stage. Can Dhoni become the first captain in the world to win 2 World T20 titles? If he does, he will definitely go down as the greatest Indian skipper of all time, adding to the fact that he has led India to the World No.1 spot in all formats of the game and winning 2 IPLs and a Champions League for the Chennai Super Kings side. And then ofcourse comes his batting. Despite Dhoni changing his game over the years from being a marauder to a maneuverer of the ball, he continues to be one of the destructive batters in the world, especially in this format of the game. His contributions could probably prove to be the difference between India and the other teams in this year’s competition. This is a format Sehwag revels in. T20 cricket is meant for flamboyant batsmen like him, and it is high time that he performs at a world event for India. In 2007, Sehwag played just one innings of note and that was in a losing cause against New Zealand. He struggled in 2009 in England and did not take part in 2010 in West Indies, mainly due to injuries that he sustained in the IPL. Sehwag has a fabulous record in the IPL, but not for India in T20 cricket. 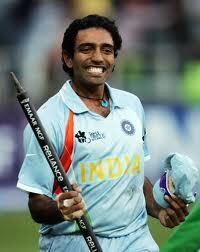 He is still a key player for India, and quick starts from him reduces the burden of the middle order to a huge extent. He will also be helped by the fact that Sri Lankan conditions are similar to that in India, very batting friendly which will help him score at a fast rate. He also needs to be co-operative for the team and realize that winning the World T20 is far more important than his captaincy ambitions for India. That will help his mind to be uncluttered and that is when he can actually his natural game more, which involves smashing the ball around to all parts of the ground. If he does this often, many bowling attacks will be at the mercy of India. Gambhir was the star in the final between India and Pakistan in the 2007 World T20 in Johannesburg with his 54-ball 75. He always has the knack of performing extremely well in crunch matches, which speaks oodles of his strong temperament. But he was not up to the mark in the 2009 and the 2010 editions, which may explain India’s poor performances as well. He will want to make amends in the 2012 edition in Sri Lanka big time. But he will be helped by the fact that he had an excellent IPL this year, not only captaining Kolkata Knight Riders successfully to their first ever championship victory but also being the second highest run getter with close to 600 runs in the tournament, almost singlehandedly controlling his team’s batting performances. This has made him gain the reputation of being one of the most consistent and of course the best T20 batsman in the world, and if he helps India win the World T20 2012, it would cap off a fantastic season for him. He makes a perfect opening combination with his fellow Delhiite and best friend, Sehwag as they are a left hand right hand combination and while Sehwag tries to attack almost every ball, Gambhir can also attack if required or either play the waiting game by nudging the ball around and rotating the strike. 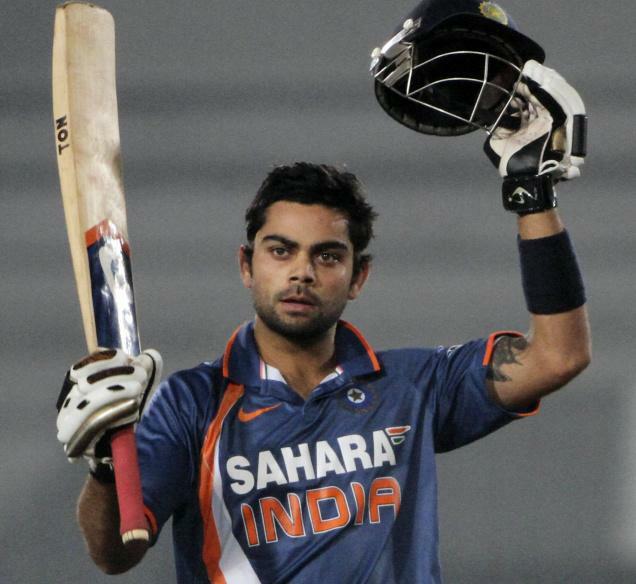 In all probability, this will be the first time Virat Kohli will be featuring in Indian colours for a World T20 tournament. Like his fellow Delhiite Gambhir, Kohli has transformed himself into a much more aggressive player in this format of the game rather than being just an innings builder. He can easily bat at No.3 in ODIs or T20s for India, and hence that spot should be his unless if Dhoni decides to send a pinch hitter to score runs quickly depending on the situation of the game. Having played for the Royal Challengers Bangalore in the IPL since the last five years has done wonders to his game. The future captain of the team would love to be involved in a second global event win for India on the trot after the 50 over World Cup 2011. Incidentally, he made his ODI debut in Sri Lanka and has played a lot of cricket in these conditions thanks to the BCCI playing catalyst in the organizing of more and more India-Sri Lanka matches in the last couple of years. He should make good use of his experience and if he does so, India have a marvellous batting line up to help them win the title after five years. Raina has grown to become India’s most reliable T20 player and such is his batting ability, that he could bat anywhere in the order from No.3 to No.7. His rise began from the IPL 2008 where he ended as the second highest run getter of the competition after Shaun Marsh of Australia, and since then has been an integral part of MS Dhoni’s Chennai Super Kings. He is also the only centurion for India in T20 internationals, scoring the century against a lethal South African attack at St Lucia in a group game of the World T20 2010 in the West Indies. Will Raina and India smile by the end of the competition? Being the highest run getter in the IPL of all time, Raina is a feared name amongst many bowlers in the world. He may struggle in bouncy conditions like those in England, Australia or South Africa, but he would enjoy playing in Sri Lanka as the pitches there give more leverage to the slower bowlers and spinners, both of whom Raina loves to play. This could be his tournament as well and Dhoni will once again count on him not just for his batting, but also his bowling as he has the golden arm in this team. And last but not the least, alongside Kohli, Raina can save a tremendous amount of runs for his team with his brilliant fielding. Rohit Sharma was just 18 when he first played for India in the World T20 2007. He made some sort of impression in the tournament, playing crucial knocks against the hosts South Africa in a crunch Super 8 match and also in the final against Pakistan. Since then, he has been in and out of the Indian team but such has his game improved over the last 18 months that he has been an integral part of the team since being ignored in the World Cup 2011. The Mumbai batsman adores T20 cricket as he is more of a hard hitter. His value in the IPL has been as good as Suresh Raina amongst India’s batsmen, as he was one of the stars of the Deccan Chargers side in the first three years of the tournament and for the Mumbai Indians in the last two years. What makes him stand out from other young Indian batters is that he is a proven performer, irrespective of the conditions or the situation of the game. He was asked to open the batting for India in Sehwag’s absence in the 2009 edition of the World T20 in England and did a decent job. Although in 2010, he struggled. India needs him to finish matches in style if they have any chance of making it atleast to the last four, if not winning the championship. Going by the form he has been in, these are ominous signs for Dhoni and co.
Yuvraj Singh has been the hottest topic of discussion in the cricketing circles ever since it was found out that he was suffering from cancer because of an abnormal tumour he had in his lung. His comeback from one of the worst medical diseases has been compared to that of Lance Armstrong, and thus even in this dark period of time for him, he has gained more and more support from the cricket loving public. He will be a greater inspiration for many if he can make it to the final 15 to play in the World T20 in Sri Lanka, but for that he will have to practice extremely hard and get runs in his belt prior to the competition. 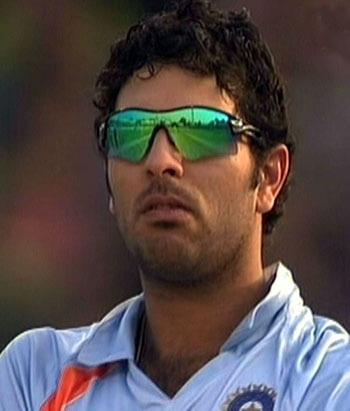 It is never easy for any sportsman to come back strongly from cancer and with this, Yuvi has another challenge to contend with. If he makes the cut, he will be an asset for Dhoni since he can bowl 4 overs in case the regular bowlers are smashed in the powerplay overs. His fielding has always been his strength, but who can forget his batting in T20 cricket? His 6 sixes off Stuart Broad in the World T20 2007 game against England and his other pyrotechnics throughout that tournament are remembered till date. The true match winner that he is, Yuvraj also was the key in helping India win the World Cup last year despite suffering from pain at the time. Uthappa played for India in a one off T20 match against South Africa earlier this year, even in the presence of MS Dhoni in the side. But for this tournament, his opportunities might be limited and he may be picked as an extra wicketkeeper batsman in the team in case Dhoni gets injured. He has been one of the most consistent performers in the Indian Premier League, whether he played for the successful Royal Challengers Bangalore in the first three years or the failing Pune Warriors India in the last two years. He has backed up his IPL performances in domestic cricket as well for Karnataka, and that has earned him a place so far in the list of 30 probables. Uthappa is primarily an opening batsman but can finish off matches well as some of his shots can surprise bowlers which occurs due to his footwork. He was also a part of the team which won the World T20 2007, so he could repeat history if he makes it to the final 15. Besides, he is not only a good wicketkeeper but a good fielder as well which gives India more options. Yuvraj Singh’s chances of making it in the last 15 are 50-50 at the moment and in case he does not make it, Ajinkya Rahane could be the man likely to replace him since he played in England in some of the limited overs matches last year and fared decently there. 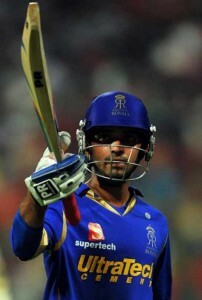 And then ofcourse, he had a brilliant IPL this year opening the batting for the Rajasthan Royals. However, Rahane could make it to the team as an extra opening batsman, just in case Virender Sehwag or Gautam Gambhir get injured. If he makes it, he could be the dark horse player for the opposition as he has a wholesome approach to batting in T20 cricket. He is one of the rising talents of Indian cricket and he is definitely due now for a regular place in the Indian team in all formats of the game, having toiled and struggled in Ranji Trophy cricket being loyal and consistent for Mumbai, his hometown. As India will continue to have a strong batting line up, he will have to wait though and that means that he will have to be content with making it to the last 15 for the tournament and learning a lot from his seniors and the experiences in Sri Lanka.